Today I would like to share with you my review of Scott Cornwall’s Colour B4 Extra Strength and How To Use It. So you decide to colour your hair and bam! Something scary happens! What do you do? Maybe the colour result is too dark? It’s not the colour you wanted? You can’t go out in public? Thinking of reaching for the bleach? Well STOP! Here’s a product I have used a few times before and from experience can say it does what it says on the box. As I’ve never reviewed it on my blog and I wasn’t totally happy with the depth of my colour from the other day I thought I’d share with you how to use it and my thoughts on the whole process. 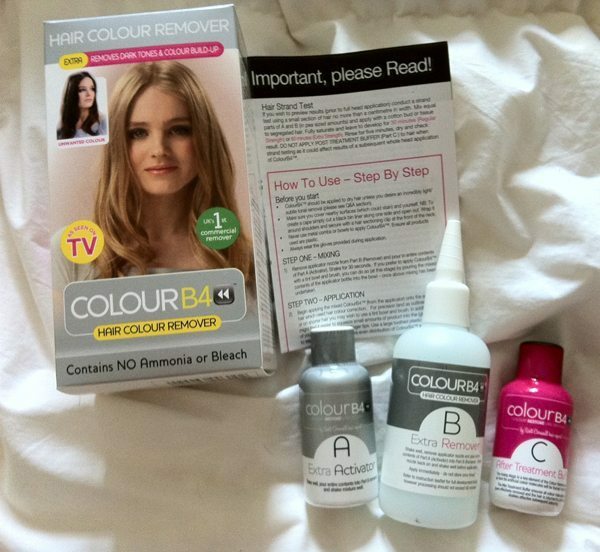 Colour B4 isn’t a new product really, it’s been about a few years now and has meant for many we don’t have to bleach the colour out of our hair to get back to how we used to be. Granted I’m not going to sit here and say it will completely give you your natural hair colour back as I’d be lying if I did! 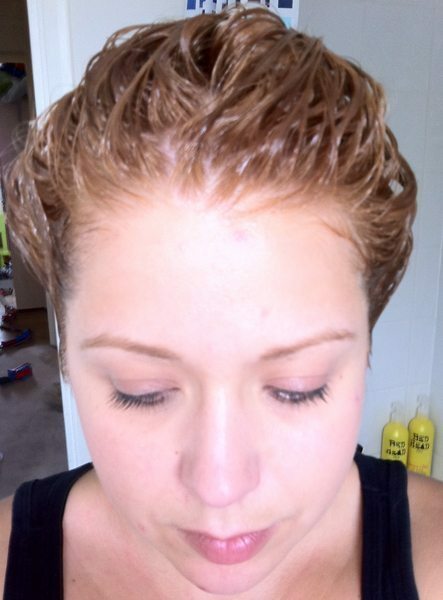 However it will strip out the colours you have put on your hair (This does not include bleach as bleach removes the colour from your hair and these high lights will often be slightly tarnished after using Colour B4 but it will remove colour you have put on top of them) out and leave you with a more workable canvas. The great thing about Colour B4 is it contains no ammonia nor does it contain peroxide. How does it work you ask? Well it shrinks the artificial colour molecules you have put into your hair by colouring it. When you use the second part of the Colour B4 process (rinsing and buffering) you are then removing the oxygen and the particles will leave the hair – that is why is it IMPORTANT you follow each stage of this to the letter if you like – otherwise if you don’t the particles will oxidize and expand again leaving your hair the colour you are trying to remove (And also making you waste money). Does it damage your hair? I don’t think anymore than colouring does and certainly not anywhere near as bad as bleach! I wouldn’t do this too often either. Also before you think about buying colour B4 make sure you have a ash toned colour on hand as you may have some brassy results especially if you have removed a ‘warm’ colour from your hair. 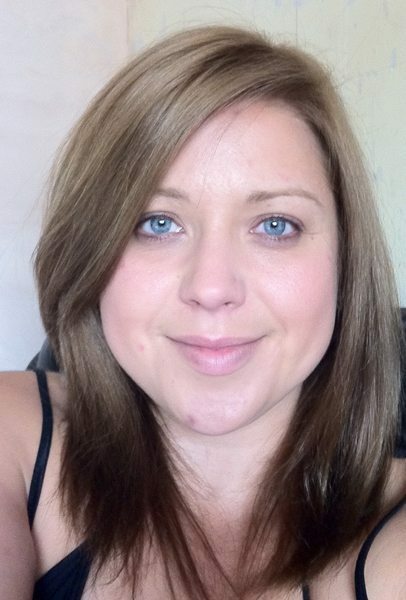 I can almost guarantee you will need to add a colour after Colour B4 but they recommend (As do I) adding a Semi Permanent one – pick a shade 1 depth LIGHTER than the colour your hair is naturally and if possible one that contains some ash (Do not put anything Warm on as it will be VERY vibrant and probably brassy). You hair will be slightly more porous and the colours going to grab really quickly so you probably won’t need to put it on for as long as recommended and will need to keep an eye on it. 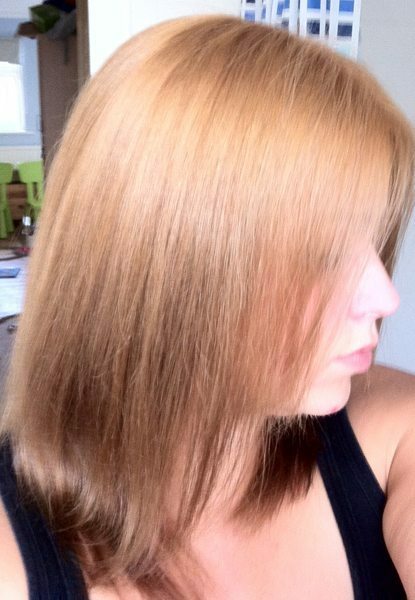 So here is my hair freshly coloured last Friday, looks ok doesn’t it? Well its a little too dark for me and I wasn’t happy with the ‘warmth’ that had come through with the colour that shouldn’t have. So as much as people (Including my other half Mark who loves my hair dark) loved it, I wasn’t totally comfortable. Off I went to Boots and bought myself a box of Colour B4 Extra Strength. The reason I chose this to the regular strength is because I have A LOT of colour on my hair and it was going to have to get through quite a bit. If you don’t have much colour build up or the colour you are removing isn’t too dark you could probably get away with the normal strength. The product costs £10.20 for regular strength and £12.25 for Extra Strength. I recommend reading through all the instructions before hand and doing a skin patch test in case of reaction. The instructions are pretty in depth but they really are easy to follow and there’s also a questions part on the back which really helps with many questions people like answers too on this product and how to use it. Let’s just say Scott Cornwall knows what he is doing!! Once you have your gloves on and have protected your clothes (I have an old tee and jeans I use especially for colouring) empty the Activator (bottle A) into the Remover (bottle b) and shake very well. They recommend 30 seconds I believe. You really want to make sure this mixture is mixed well. You are applying this to dry hair, it helps if you have a wide tooth comb handy and a bulldog style clip if you have longer hair. Taking sections throughly coat the hair with the mixture. You can do this with your hands and the bottle (My chosen method) or if you have a friend helping or a more dab hand you can apply it with a tint brush from a bowl. Once the hair is thoroughly coated and stinks of rotten eggs – sorry but the smell is disgusting – you then start to time development. If you are using the Regular strength development is 30 minutes for the Extra Strength is 1 hour. This picture is just after I have finished applying the remover, as you can see it is already working and my hair is lighter. I did not leave mine the full hour namely as I know my hair and felt after 45 minutes this was adequate. If in doubt always follow the manufacturers guidelines – they are there for a reason. Don’t worry I know its pratically orange but this pic is nothing on the next one. Here’s my hair minus the clip to show you how its worked. You hair at this point is by NO MEANS FINISHED!!! We have a lot of work to do yet. The next parts take ages but are the most important. At this stage we have shrunk the colour molecules; now we need to get them out of our hair and this is where the rinsing and buffering comes into play. You need to rinse your hair for at least 5 minutes – as a guideline I would say under shoulder length 5 minutes anything over that or super thick at least 8 minutes if not 10. Do not skimp on this stage! If its easier do it standing in the shower – I am by no means easy so did it over the bath. Then you will need to massage the buffer lotion from bottle C into your hair (You will need to do this twice so as a rule I use about half of it for this time) and leave it working for 1 minute. Now you are going to rinse again – hope you have plenty of hot water!! This time rinse for the same amount of time you did last time, so minimum of 5 minutes. If it helps, I rinsed for 8 minutes both times. You will then apply the other half of the buffer lotion from bottle C, lather it up and massage just like you would a shampoo and then rinse again till all traces are gone. You have now removed the unwanted colour from your hair. You may be looking a little brassy or maybe it looks just right. Sometimes its easier to dry it first and see. Once you have completed the final rinsing and finished the complete cycle of Colour B4 apply a small amount of conditioner and work it through your wet hair. Don’t leave it on, just massage it in and then rinse very well. This should at least make your hair combable and less dry. Towel dry your hair very well – sometimes it helps to use kitchen roll just to blot through the ends and soak up excess water. 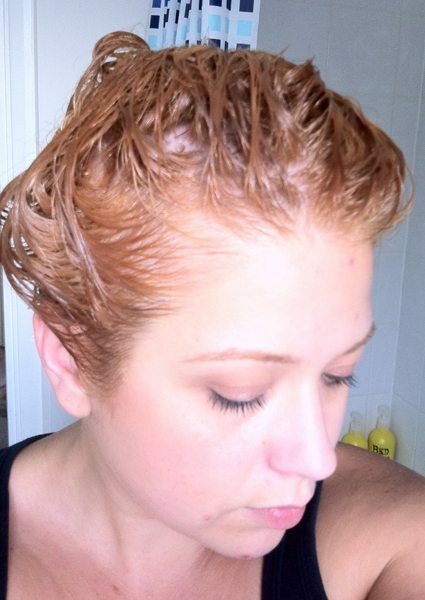 You are going to apply your semi permanent colour onto wet hair – I know it probably says dry but ignore that! By adding some conditioner and working it through plus leaving your hair wet you are helping to even out any porosity. If your ends look about the colour you are aiming for and its your scary canary orange roots that don’t, just apply the colour to the roots – leave for about 5 minutes, check it and if its a good match massage through your hair and the rinse then. You will not need to leave the colour on for the total time it says as your hair has been through a lot and its going to grab the colour!! My hair after I applied a semi to my roots area just like in the above method for 5 minutes. If however you want to recolour all of it by all means do, but check it at regular intervals, just scrape a little colour away from the hair with your nail and have a look at the colour to see if its right for you. Do not leave the colour for what the instructions say as it will probably be too dark and look bad!! Scott Cornwall’s Colour B4 is amazing if used correctly! Don’t rush in feet first as it will cost you more in the end, but if you take your time with it and think it through stage by stage you too can colour correct your hair and remove unwanted colour. 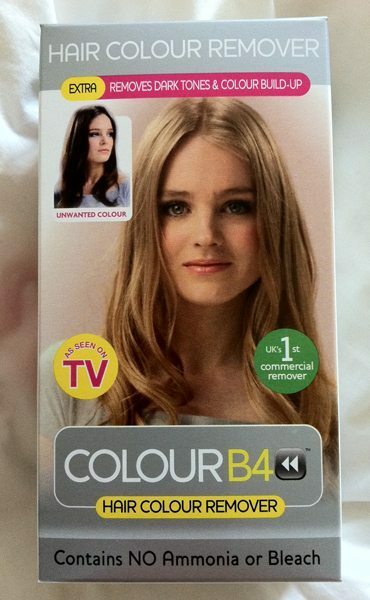 I continually go back to this product after years of using bleach to remove colour and have to say I think its amazing! My hair doesn’t feel as dry as after bleach and the results are usually a lot better too. It is a damm site cheaper than going to a hair dressers to have your hair colour corrected (I had mine done through a Goldwell Colour rep when I was working and it would have cost over £400! That is a colour professional but the results are pretty much the same as me sat here now!). I hope someone might have found this useful and had a good giggle over my scary canary hair – at least I’m back to a caramel butterscotch blonde now! I am about to use colourb4 in my hair to remove permanent dark brown / red that i put in 2 days ago because i just hate this colour!! Will i be alright or will my hair all fall out? i used colour b4 a week ago to remove black from my hair and it worked perfectly and my hair was in good condition, im just scared using too many products in my hair in a week will ruin it. I intend to use crazy colour fire red after i had used the colour b4 to lighten my hair again. Will my hair come out a “rhianna red” or will i just end up bright ginger?? Ok first things I have used 2 lots of Colour B4 (It was the extra strength one) within a couple of days of each eachother and although my hair was a little more dried out, it was ok and no it didn’t fall out. I would still totally recommend you do a strand test thought just to be safe. As for the Crazy Colour, I can’t comment too much on it as I’ve not used the brand. I don’t really know what result you will get either from the colour I’m afraid and again would recommend a strand test before colour. Just wanted to say thank you soooooooo much for your info, tremendous help!!! 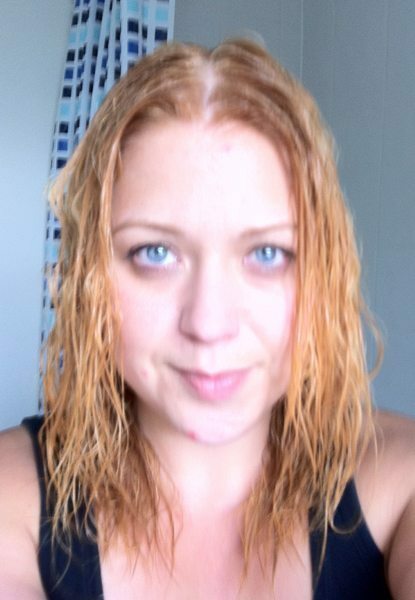 I used the colour before yesterday & ended up very orange/ginger (basil brush springs to mind!!) Gathered from looking on line that I needed to get an ash semi colour to go over my hair but would have just ended up putting it on as per box instructions and ended up with another disaster!! 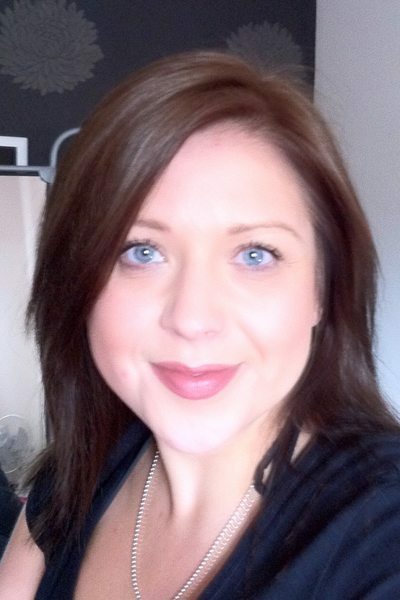 The only ash colour I could get anywhere in my village was a light ash brown (darker than I wanted but to be fair anything was better than ginger or the ultra violet red I had previously!) Only left it on for the five mInutes which was more than enough & it’s not too bad, condition is ok too. hi, i have been dying my hair for far too may years!!! do you think it would be ok to use this or do you think it might damage my hair. am 30 something now and think purple may not be appropriate anymore. hi i did it about 3 weeks ago the colours came out my hair but im left with a bad smell of eggs its really bad ive tryed everything to get the smell away its that bad my partner is sleepin on the sofa pleaze can anyone help its driving me mad???? Step away from the clippers and razor!! !